Automated vehicles were once nothing more than a dream of science fiction writers. But today major corporations like General Motors and Uber have deployed “self-driving” cars on public roadways. Although touted as safer than traditional, human-operated vehicles, self-driving car accidents raise a host of new legal questions that legislators and courts around the country will need to sort out in the coming years. This issue recently came to the forefront after a self-driving vehicle in Tempe, Arizona, struck and killed a 49-year-old pedestrian. The fatal accident occurred around 10 p.m. on a Sunday night. According to the technology news website Gizmodo, “Autonomous vehicle developers often test drive at night, during storms, and other challenging conditions to help their vehicles learn to navigate in a variety of environments. In this case, a Volvo owned by ridesharing giant Uber was in autonomous mode when it struck and killed the pedestrian victim, who was crossing the street at the time. Tempe police claim that Uber’s vehicle was not at fault after reviewing preliminary video footage that indicated the victim entered traffic outside the designated crosswalk. However, the National Transportation Safety Board is investigating the accident and will likely have the final say with respect to what actually happened. Uber has also temporarily suspended further testing of its self-driving cars. So who is legally responsible when a self-driving car causes an accident that injures or kills a person? Tennessee legislators started to address this issue last May when it passed the Automated Vehicles Act (AVA). The AVA authorizes and regulates the use of motor vehicles equipped with an “automated driving system” (ADS) on Tennessee public roadways. This new regulatory scheme applies statewide–local governments are expressly forbidden to ban self-driving cars on their own streets. ADS-equipped vehicles must be “in compliance with applicable federal motor vehicle safety standards,” according to the AVA. A self-driving vehicle must also carry a primary auto insurance policy with at least $5 million in coverage to cover any potential “death, bodily injury, and property damage” arising from an accident. The law also directs Tennessee officials to report back to the General Assembly by February 2020 on whether these insurance requirements should be changed. As to the question of legal liability for accidents involving ADS-equipped vehicles, the AVA makes it clear that existing “product liability law, common law, or other applicable federal or state law” remains unchanged. However, when the ADS in a vehicle is “fully engaged” and operated in compliance with the manufacturer’s instructions, it is now legally considered the “driver” for the purposes of assessing the liability of the vehicle’s owner or lessee. 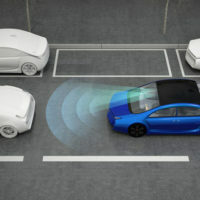 In other words, where a self-driving car is completely outside the control of a human operator and causes an accident, the owner or party leasing the vehicle can be held liable for the victims’ injuries. How Tennessee courts will actually apply the AVA remains to be seen. As the recent tragic accident in Tempe illustrates, self-driving cars remain a work-in-progress and the law will continue to play catch-up with this rapidly evolving technology. In the meantime, if you have been injured in a car accident–whether the fault of human or machine error–and need to speak with a qualified Knoxville personal injury attorney, contact the offices of Fox & Farley, Attorneys at Law, to schedule a free initial consultation.